Brilliant, lightfast, non-toxic, archival and AP approved liquid watercolors in 1 oz. dropper bottles. The dropper bottle allows for repeatedly mixing exact color shades by mixing the same number of drops each time. 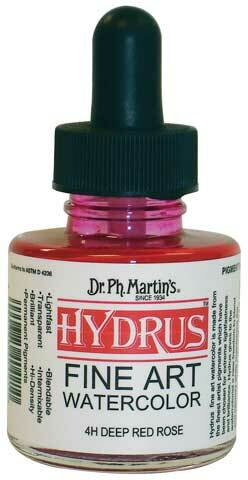 Great for calligraphy dip pens, technical pens and airbrush in addition to watercolor.